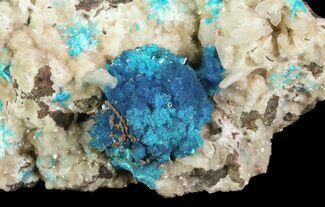 Cavansite, whose name is derived from its chemical composition, calcium vanadium silicate is a deep blue, crystal forming mineral. 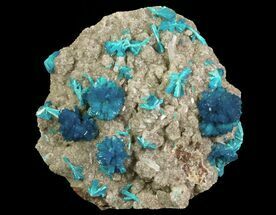 It occurs in basaltic and andesitic rocks and is typically associated with zeolites. 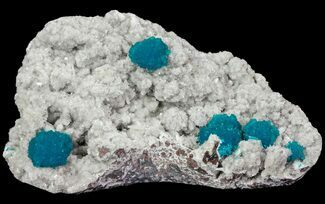 Cavansite tends to form deep blue crystal aggregates, generally in the form of balls, up to a couple centimeters in size. 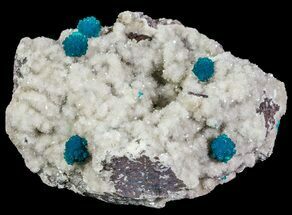 The vast majority of Cavansite comes from the Deccan Traps (a large igneous province and one of the largest volcanic features on earth) in the Pune Province of India.